The battle for suburbia grows to crazy new heights. 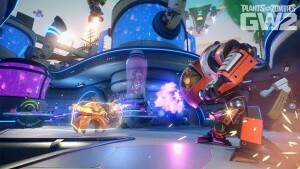 PopCap Games, creator of some of the world’s most beloved video game franchises and a division of Electronic Arts Inc., today announced Plants vs. Zombies Garden Warfare 2, the outrageous new adventure set in the Plants vs. Zombies universe. 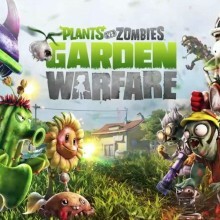 For the first time in franchise history, zombies have taken over Suburbia and plants are on the attack. Each faction has enlisted new characters from the past, present, and future to join the fight. Play your way through all new modes, discover unique gameplay features, and explore all-new maps. Launching Spring 2016 on Xbox One, PlayStation 4 and Origin for PC, Plants vs. Zombies Garden Warfare 2 taps into the heart of what fans loved about the original and goes above and beyond to deliver the funniest, craziest and most over-the-top shooter – and that’s only the beginning. Garden Warfare 2 will also deliver free content updates to ensure Zomburbia stays fresh and action packed.